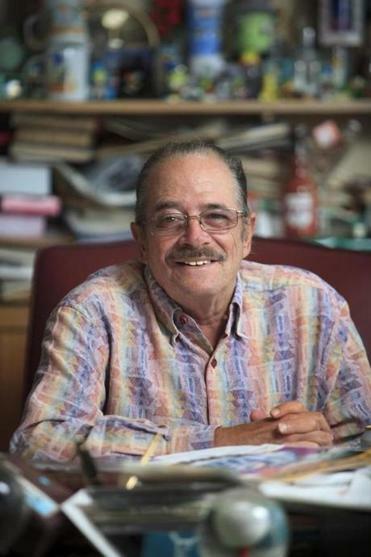 Stephen Mindich, pictured in the Boston Phoenix offices. The Boston Phoenix is gone, but the work done by the alternative weekly for nearly four decades lives on. The gratis gift, arranged by former Phoenix media columnist and current Northeastern journalism professor Dan Kennedy, also includes early issues of The Real Paper; the Phoenix’s sister publications in Worcester, Portland, and Providence; Boston After Dark; the alternative programming of radio station WFNX-FM; and Stuff and Stuff at Night magazines. The Phoenix, whose origins date back to 1966, closed in 2013 amid mounting debt and dwindling ad revenues. The alt-weekly won numerous awards for its journalism over the years — New England Press Association Awards, Penny-Missouri Newspaper Awards, American Bar Association Gavel Awards, ASCAP-Deems Taylor Awards, and a Pulitzer Prize for its classical music critic Lloyd Schwartz — and its impressive roster of alums includes writers Susan Orlean, Joe Klein, Sidney Blumenthal, Janet Maslin, and David Denby, among others. Wakeling said the long-term goal is to digitize the archives, but in the meantime hard copies of the newspaper will be available to the public. He likened the Phoenix to papyrus texts uncovered by archeologists in Oxyrhynchus that shed light on life in ancient Egypt. “I’m thinking that 200 years from now, the Phoenix archives will be that for Boston, a way of understanding the city in a way that’s not otherwise available,” said Wakeling.